Bamrauli is one of the most famous villages in Allahabad located on the right bank of River Ganga. 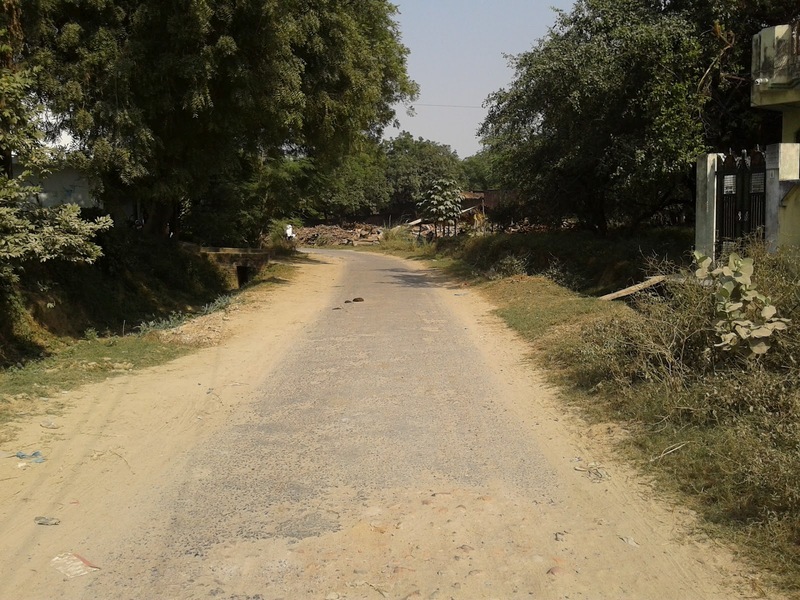 It falls under Tehsil -Sadar , District - Allahabad today but It used to be a part of Pargana Chail in Dist Allahabad before the bifurcation of Allahabad into two parts creating a new district named Kaushambi. Similarly Bamrauli is also known to be into two parts, namely Bamrauli Uparhar and Bamrauli Kachhar. The propulation in 1951 is as follows , taken from a book compiled by Rajeshwari Prasad.ICS in 1951. Bamrauli appears to be one of the oldest inhabited villages in Pargana Chail. 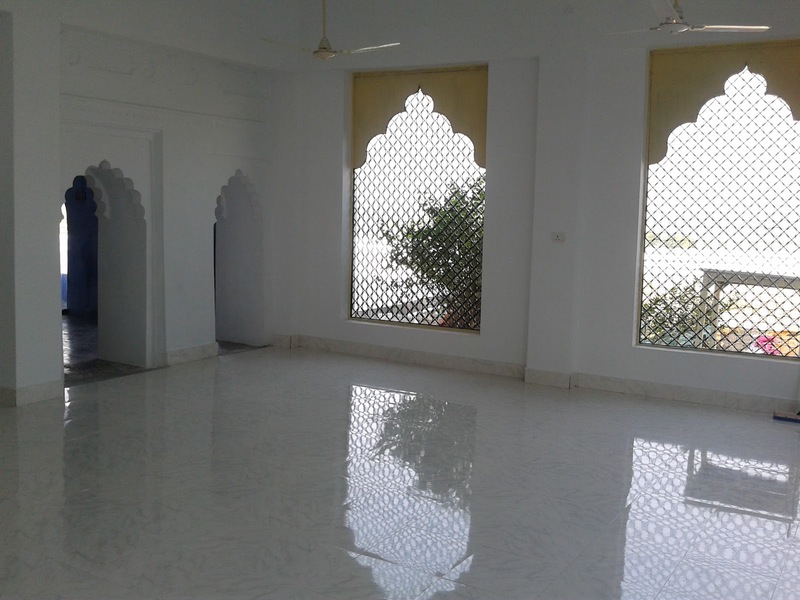 It is not surprising keeping in view its ideal location on the banks of Ganges and lying close to the Teerth Raj Prayag, the centuries old greatest pilgrimage centre of Hindus. 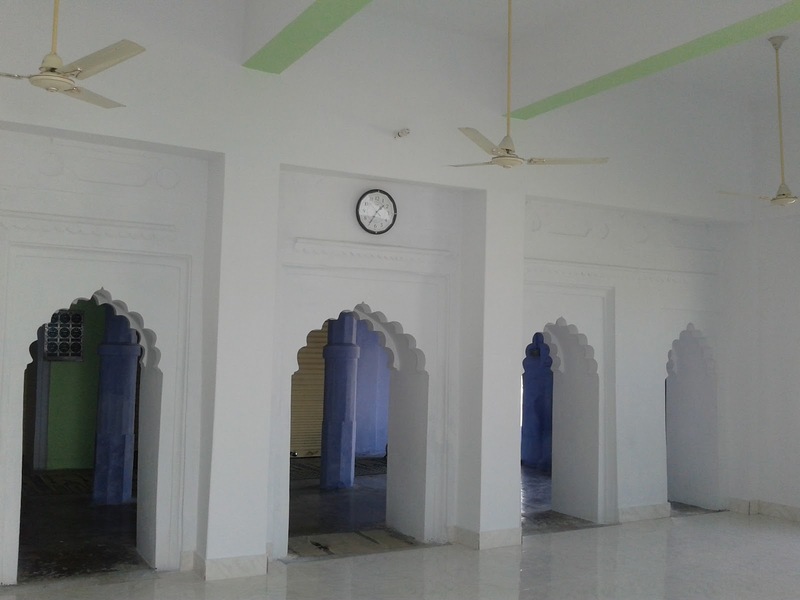 It is arguably the first Muslim settlement in the environs of modern city of Allahabad. The village enjoys a huge in-habitation and has lands covering almost entirely right from the banks of Ganges to exterior of the Air Force Station and even across.Today the air force station and the only functional airport in Allahabad is known as Bamrauli Airport. All these areas were once owned by the zamindars of Bamhrauli. Legend has it that centuries ago there was a local Rajput Chief named Rajah Brahmdeo who held the village as well the environs under its sway. 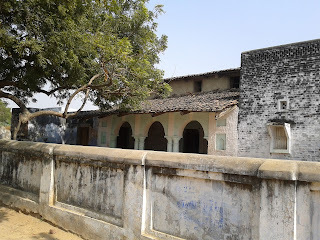 The village was known after him as Brahma-rauli.During the course of several hundred years the name changed to Bamhrauli and today it is simply Bamrauli however the correct spelling is & should be Bamhrauli. 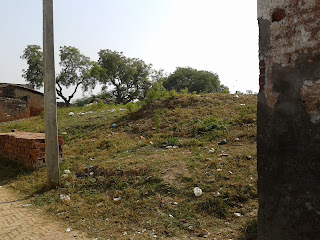 Here lies a saint of a very high standing namely Makhdoom Shaikh Imaduddin Ismail who came here from Multan at the close of 7th Century Hijri and pitched his tents on a hillock near Ganges. He lived here peacefully keeping himself engaged in prayers and spiritual meditations.Soon his name & fame crossed the boundaries of the village and people from all directions started to pay a visit to him. (See Aaaine-i-Awadh). The local Rajah considering him to be a future threat for this estate & power,arrogantly asked the Saint to leave the place but was subdued miraculously by the events that followed on. Under the awe of the saint The Raja himself lad to leave the village with his family and the legend further says he established another Bamhrauli village several miles away from here on the Kanpur - Fatehpur Road which still bears the same name. 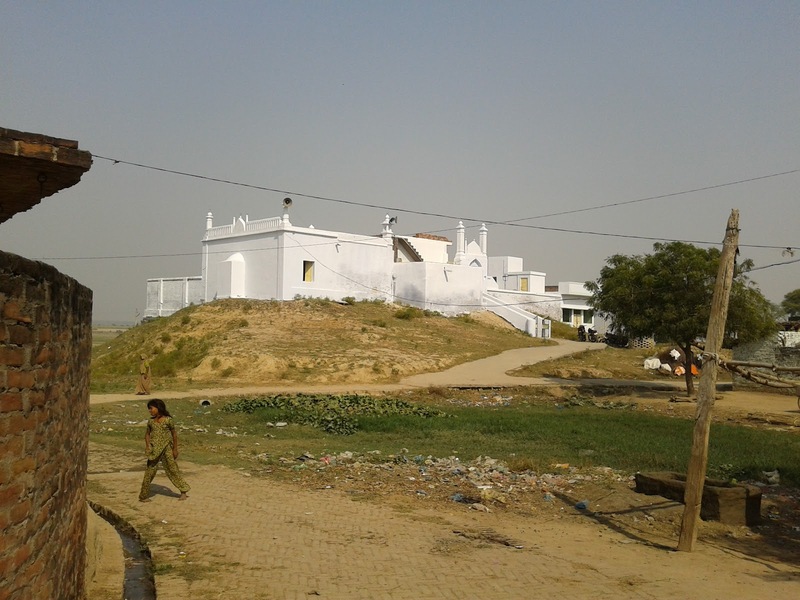 As far as my research goes Makhdoom Sahib of Bamhrauli should be the oldest saint to settle in Prayag (Modern Allahabad), being a grand-son of Shaikh-ul-Islam Baha’uddin Zakaria Multani (Rah) ,he came here between 670-690 Hijri at a divine instance from Multan , erected a mosque on the banks of river Ganges close to his hermitage.One of his famous disciples is Shah Karak Majzoob of Kara (Sirathu) who is highly celebrated historial figure in the medieval history of India. 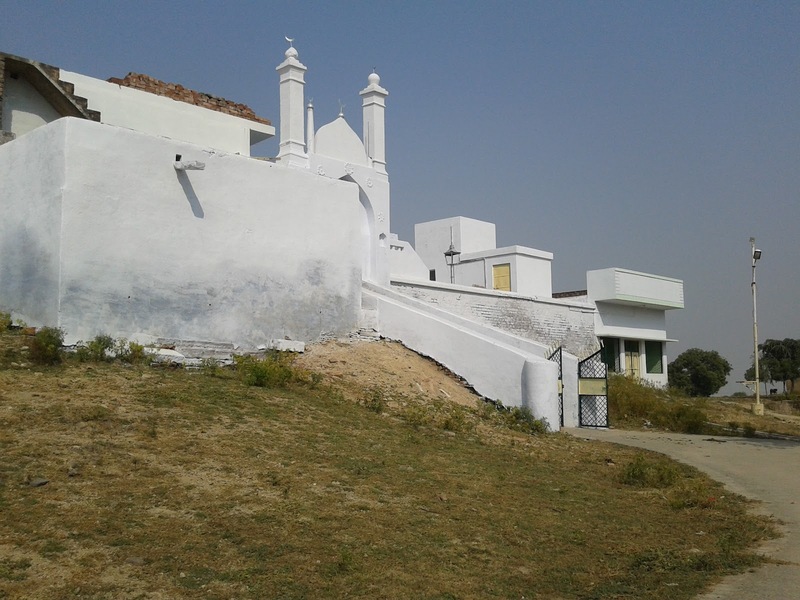 The tomb of Makhdoom Sahib is within the courtyard of that mosque is still present being a place of great veneration. Though no rituals like Urs take place here yet the knowledgeable people of the environs do sometime come here to pay their respects to Makhdoom Sb. His wife is also buried in a small tomb a furlong away in the burial ground which is the largest cemetery in Pargana Chail covering an area of 99 Bighas marked for burial purposes only. 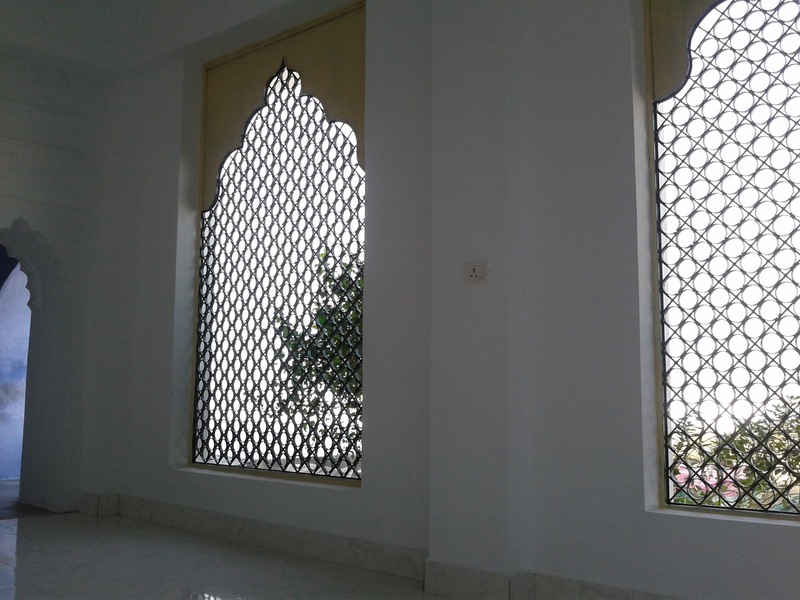 The mazar of the wife is known as Barah Dari. The Hashmis of Bamhrauli also known sometimes as Makhdoomzadas and Chaudharis of Bamhrauli are descended from the Makhdoom Shah Ismail. The persona of Makhdoom Sahib of Bamhrauli is the fountainhead of the enviable reverence the Hashmis of Bamhrauli enojyed throughout the centuries. His descendants known as the Makhdoomzadas & later on Chaudharis were always held in high by the masses as well as the rulers and kings alike. Apart form the religious and faithful importance Bamhrauli,for the last few centuries,was best known as the seat of a large zamindari estate. The Chaudharis of Bamhrauli were known to be one of the most influential landholding families in Allahabad and they enjoyed this status for the fairly long period right from the Sultanate Era till our freedum struggle of 1857. Some people assert that Bamhrauli was the name of a big Taluqa under the Mughal & Awadh rulers. Historically between the 7th and 10th Century Hijri, the makhdoomzadas were mostly involved in the religious and social activities by carrying on the tradition of learning and imparting education.They were regarded and quite well-placed but their responsibility and duties took a U turn when Mughals strengthened their grip over the Subah by replacing Kara with Allahabad as the seat of the Governor-ate.Eventaully Akbar created the Subah of Ilahabas and thereafter he picked up the few local influential families to help him control the region.During 1580-1600 ,he chose a branch of Makhdoomzadas of Bamhrauli to take care of a vast territory after conferring upon them the title of Chaudhari.From that day on the learning part of the family got eclipsed under their social clout and policitial influence which increased exponentially year by year .They gradually moved from being religious guides to social magnates of their time. Any socio-religious movement or a political struggle was not considered fruitful unless and until the Chaudharis of Bamhrauli seconded and supported it.Hence the descendents of Makhdoom sahib (The Hashmis of Bamhrauli) were known to be the most vibrant and influential family in Pargana Chail. As for the land-holdings, since the Bamhrauli family always enjoyed the patronage of the emperors of Delhi over the centuries. They had already got large tracts of lands during the Tughlaq/lodhi era that kept on the numbers going up after each bandobast. When Akbar created Pargana Chail, Bamrauli was made a head-quarter of a taluqa of Pargana Chail and with the title of Chaudhary to one of the branch-head of this family they reached at the pinnacle of their supremacy. The Title and land-holdings continued throughout even in the Awadh kings era till 1857 when they were charged with sedition and almost 3/4th of the Bamhrauli estate was confiscated. Today's Bamrauli Airport and it adjoining villages were almost entirely owned by the Bamrauli family. The airport was constructed in 1919 and Allahabad was linked by air. Bamrauli was an international airport till 1935 and it had direct flights to London till then. See the excerpt from the book. Shah Fida Sahib - highly respected religious figure of 16th Century. We find names from this family all along the history. In the 18th Century Chaudhary Shaikh Ibrahim Urf Tidi Shah was a powerful magnate of his time. Chaudhary Shahab-ud-din was one the most important leaders of 1857 uprising and a very close aide of Maulvi Liaqat Ali of Mahgaon, His property was confiscated and he was hanged thereon. Chaudhari Mohammad Musa Mukhtar, Mohammad Isa , Chaudhary Mohammad Aala, Chaudhary Ummed Ali , Ahmad Ali, Chaudhary Paighambar Bakhsh, Chaudhary Mohammad Khalid, Chaudhary Ubaid-ur-Rahman, Shafee-ur-Rahman, Rafee'ud'deen ,Kabeer'ud'deen etc were the famous persons for the late century. Then we have the popular ones like Chaudhari Middan Marhoom (Abdul Hameed Hashmi) , the elected Pradhan was an influential figure of the village was known throughout Chail. After the partition, a son of Chaudhari Abdul Hameed Middan , namely Nadeem Shaheen Suharwardi made a mark with his political acumen and social service in Sindh ( Pakistan) .He is still regarded in Sindh area as a saint. Chaudhari Habeeb-ur-Rahman (Habban) was also a well known name from Bamrauli who held the sway in the post-partition era. His sons Hameed-ur-Rahman and Hidayat-ur-Rahman are there in Allahabad. Today Bamhrauli is known for Fuzail Hashmi as well, a son of Chaudhari Abdul Hameed who is a prominent leader of Congress in Allahabad. 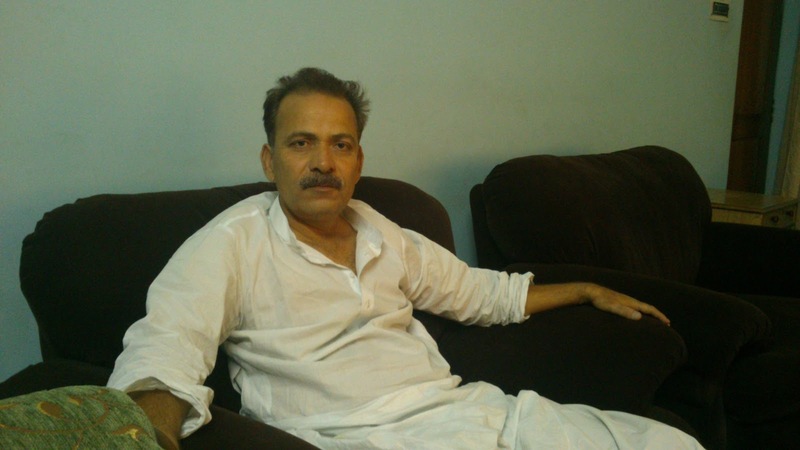 His elder brother Zafar Saeed Hashmi is an advocate. Initially the Makhdoomzadas of Bamhrauli married only into the the family of Makhdoom Shaban al Millat Bayabani and their off-shoots since these were the only two oldest families of Prayag and were known to each other with reference to Multan. Later on the marriages started into the top notch families of Kara - Manikpur. Since the Makhdoom-zadas of Bamrauli were highly regarded as one of the few blue blooded ones, they married particularly into the Khanwadas , the descendents of a saint and saintly figures. From the beginning of 16th Century when a lot of noble Shaikh and Sayyid families started to populate Pargana Chail , the Bamrauli family gradually confined themselves to Pargana Chail only and this tradition carried on for the later centuries without any change. Other Makhdoomzadas (Non-Chaudharis) mostly married into the Sayyids of Kakrapurwa (across ganges) , Sayyids of Ujhini and Jhusi, Shaikhs of Pawan , Puraini and Behka. THey had a selected number of villages to which they gave & accepted daughters. 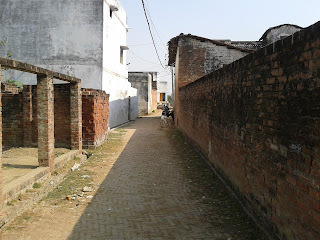 It was the status at the begining of the 20th Century now today you may not see the original hashmis in all these villages except Shaikhpur,Muhiuddinpur and Neem Sarai yet the history of these villages is not complete without the mention of the Bamhrauli. 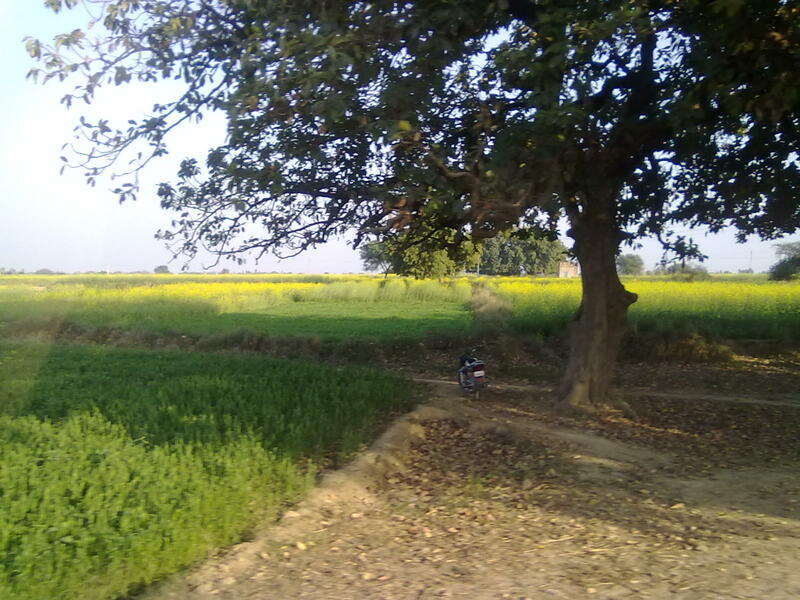 Bamrauli has got a large fertile are around it and it lies in the famed Guava belt of Allahabad. For visiting Bamrauli you need to take an auto from Khusro Bagh and get down near Begum Bazar called Bamrauli Mod. 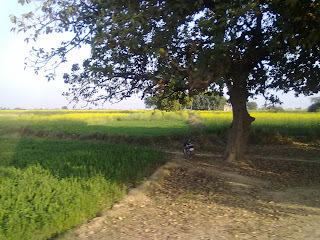 Here you can continue on foot for 10 minutes to reach the village. You may like to give a try to see the Hashmi House (the residence of Hashmis ) that is the lone shining mansion worth seeing. Do not forget to pay a visit to Makhdoom Shah as well. From the mosque you shall get a glimpse of river Ganges flowing eastward towards Allahabad city. If not a delicate one, you may like to run towards it and get a dip and wash off you sins altogether………. Very interesting , i know Bamrauli but this was an eye opener kind of thing. Great work ! 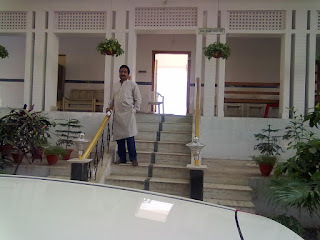 Khalid bhai,i accidently came across your Blog on bamhrauli and went nostalgic after reading it. Fuzail and his brothers kamaal and sohail were my very good friends. I was fortunate enough to visit their house when i had been to allahabad way back in 1995 or around that period. Actually i am from mumbai born and brought up in this City. I would like to convey my greetings to the hashmi family through this blog as i have no other source of contacting them. My e-Mail ID is manevs_07@live.com. Dear Vijay ! I shall speak to them and convey your wishes. If you want to speak to them just let me know your no. (shall be kept private ). 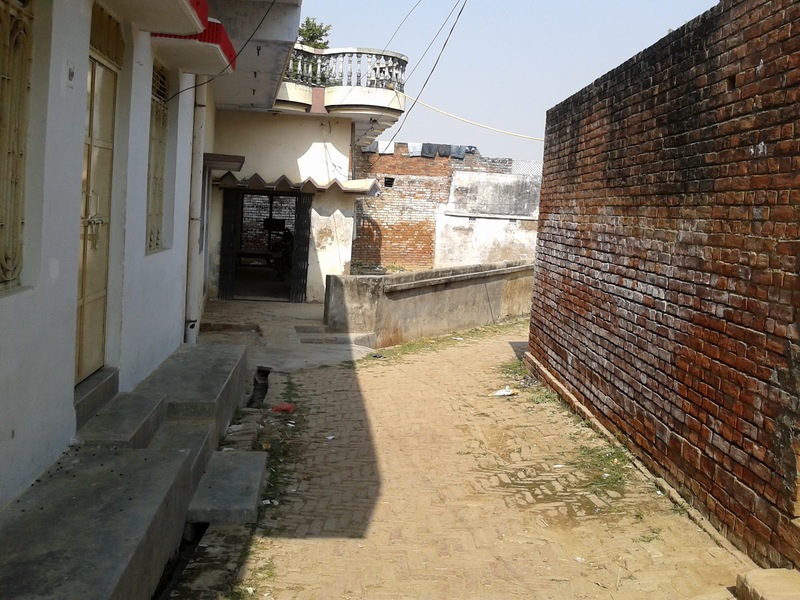 If this is the same mosque in front of the Bumrauli Railway station then there used to be a house right in front of the Mosque where we lived.My father worked in Civil Aviation in Bumrauli. I was only seven years old when we moved to Lucknow( father got transferred) and there are so many fond memories now I am 69 years old but have never forgotton the house.Old Maulvi sahib and his family, we were very close and his two sons used to take me to school, cant remember where it was but we had to walk a lot.Maulvi sahib loved my little brother who was just a baby and he used to come and play with him.I don't think those days could ever come back but I miss Bumrauli very much.My best regars to every one who belongs there. Nice efforts. 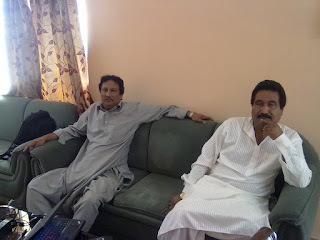 Please modify that I am Ahmad Kabir Hashmi s/o Sharf uddin Ahmad Hashmi s/o Kabir uddin Ahmad Hashmi s/o Rafi uddin Ahmad Hashmi s/o Shafi uddin Ahmad Hashmi s/o Shahab uddin Ahmad Hashmi whereas I have two sons Muhammad Arsalan Hashmi who is serving Bata Pakistan Ltd as Territory Manager after MBA and Muhammad Asad Hashmi who is studying Engineering in Poland. My father was serving in Madras Customs and shifted to Pakistan after partition and served in Land Customs, Lahore till 9th January 1964 after which he died. I am serving Pakistan Customs, Karachi as Superintendent till to date. Dear Ahmad Kabir Bhai - Many thanks for your input. Infact this is the outcome and result of my labour of love. I have checked the records and your forefathers name appear and it tells that janab Kabiruddin lived in Shaikhpur. Would love to have your e-mail ID & contact no for further exchanges.